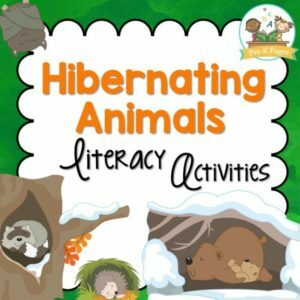 96 pages of hibernating animal themed literacy activities to help your students develop a solid foundation for future literacy success. 69 pages of hibernating animal themed math activities to help your preschool, pre-k, or kindergarten students develop strong number sense skills. 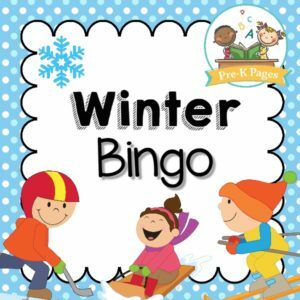 Free printable bingo game for a winter theme in your preschool, pre-k, or kindergarten classroom. Includes both a black and white and a color version! 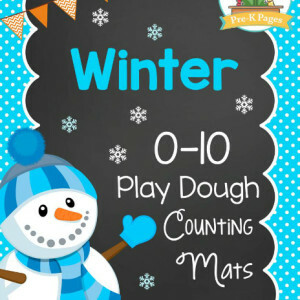 Free winter play dough mats to help your kids develop number sense and fluency within ten. 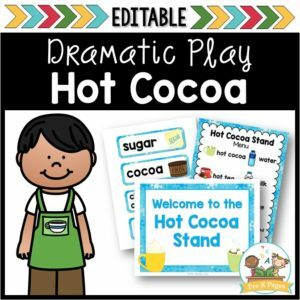 65 pages of printable props to help you easily transform your dramatic play center into a hot cocoa stand for winter. Includes literacy, math, and writing opportunities that support current learning standards. 33 pages of fun, hands-on Winter Literacy activities. 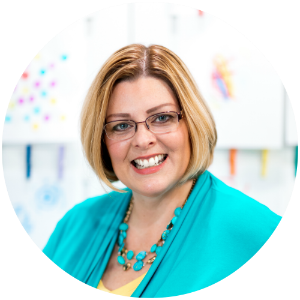 Small group activities to help your students meet early learning standards.